On the heels of the largest midterm election in U.S. history, one local city will vote again in the next few weeks. 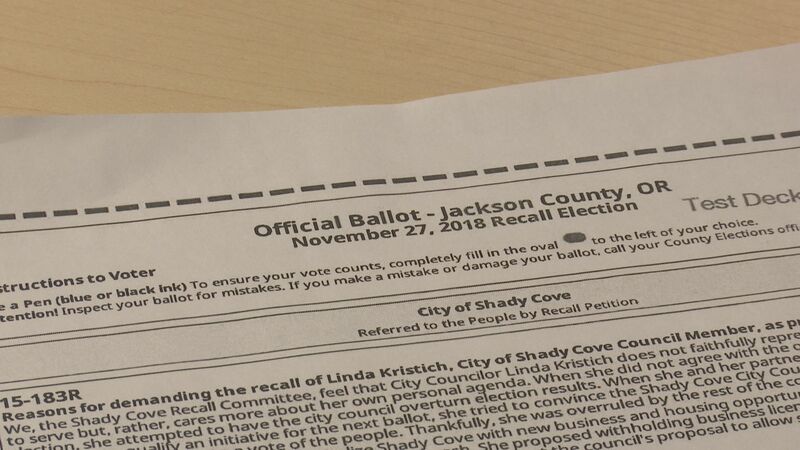 Shady Cove City Councilor, Linda Kristich, is fighting a recall effort. The organizer, Bob Bellah, said she’s representing her own interests. In a statement provided to Shady Cove residents, councilor Kristich said she is protecting the interests of the people and has fought against insider tactics. 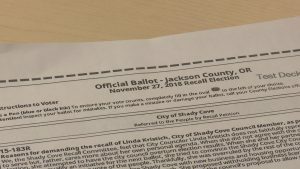 The Jackson County Elections Office said they’ll mail ballots Friday.